In today’s world, people have more anxiety than ever before. Whether it’s personal or professional responsibilities, relieving anxiety has become a high priority. However, finding the right products to do so can be difficult. But for those who have longed for an easy, non-habit forming product that requires no prescription, Canchew Gum provides a safe alternative to those needing some extra help to get through their day. Considered a pioneer in this field, CanChew Gum is legal in all 50 states and is doctor recommended. Rich in heart-healthy Omega 3s, it contains no artificial sweeteners or preservatives and has a rich, full and pleasing taste. With each piece containing 50 mg of hemp oil with 10 mg of naturally occurring CBD, it has numerous testimonials from long-time users that prove its popularity. Is 10 mg of CBD Too Much? Some people have more anxiety than others, so 10 mg of CBD may be appropriate for them. However, others who have only mild levels of anxiety may not need 10 mg of CBD in order to feel relaxed. In these cases, 2-3 mg of CBD may be all that’s needed. When this is what’s needed, you can try our Herbal Renewals CBD Spray. The 1-ounce bottle provides 100 mg of tasty spray that’s available unflavored or in Vanilla or Peppermint flavors. Because it’s a spray, it’s absorbed quickly and easily and is concentrated to provide immediate results. What if I Need More Than 10 mg? While each person’s levels of anxiety are different, there are times when a much larger dose of CBD is needed. When this is what’s needed, we recommend our Herbal Renewals: Blue Label High CBD Oil tube. One of the strongest CBD products on today’s market, it’s available in 1, 3, and 10g tubes depending upon how often a person will use it. A 3g tube will last the average person several months, making sure they will always have a dose of CBD ready whenever they need it to calm down and relax. One of our best-selling products, you can get 1000mg in the smallest Blue Label tube. 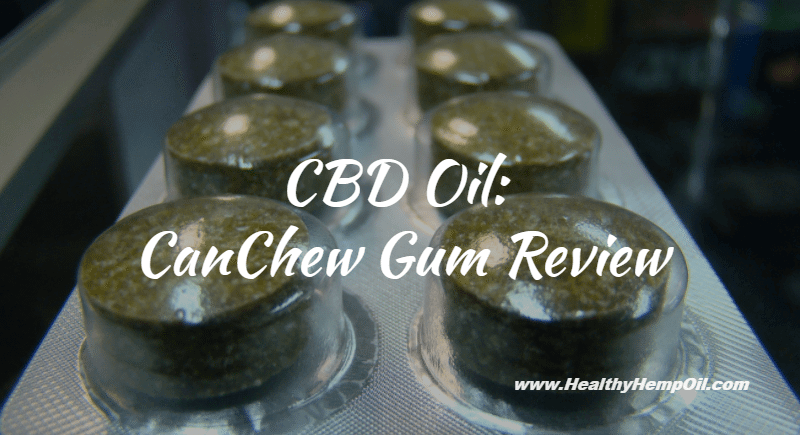 While Canchew Gum is a great product, there are many people who may have to spend too much time trying to figure out the exact dose of CBD they need in order to find themselves reaching an optimum level of relaxation. Sometimes, it takes those who are knowledgeable about various CBD products to help you settle on just the right product for you. This entry was posted in CBD Oil Reviews. Bookmark the permalink. How to Buy Edibles Online and Ship Anywhere – Legally!